Hello, our dear friends! 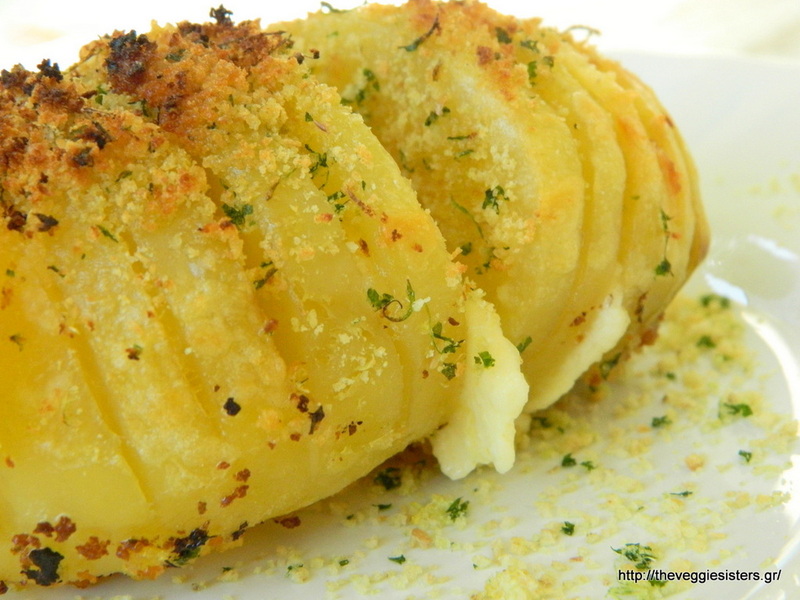 Today we are baking delicious Hasselback potatos! These kind of potatoes are named after the hotel restaurant in which they were first served in Sweden,Europe. So we are paiting a swedish recipe with the top regional greek products of Yoleni’s. We have prepared three different but equally scrumptious versions for you! We hope you enjoy all three of them! Wash and peel the potato skins off. Cut slits leaving the bottom intact. 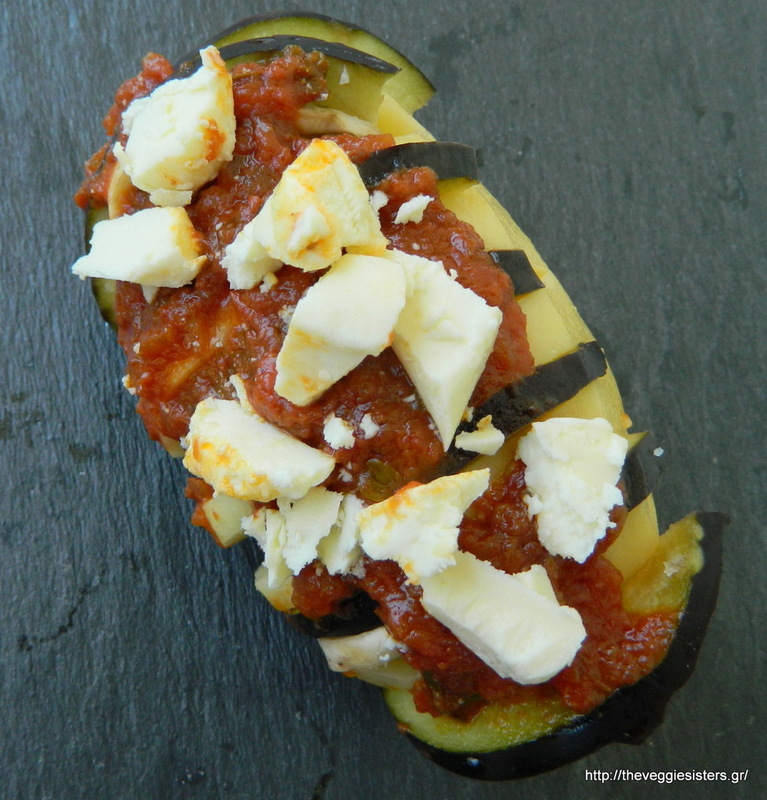 in this version you will need more space because you will fill the slits with eggplant slices. So make alternatively slits of 3mm and 1,5 mm. Place mushroom and eggplant slices into the slits. Add 1 Tbsp tomato sauce and top with cheese pieces. Wrap each potato with aluminium foil and bake in preheated oven at 200 C for 35 minutes. For each potato combine 1Tbsp chopped basil with 1/2 tsp garlic pulp. Coat potatoes with this (inside out). Add cheese pieces in the slits. Wrap each potato with aluminium foil and bake in preheated oven at 200 C for 35 minutes. Coat the potato with garlic pulp. Put cheese pieces into the slits. Wrap the potato with aluminium foil and bake in preheated oven at 200 C for about 35 minutes. Blend rusk, grated lemon zest and parsley. Uncover the potato, check if potato is cooked through and sprinkle with the rusk mixture. Pour each potato with 1 Tbsp olive oil, put it back in the oven uncovered and bake for another 5 minutes until golden brown. 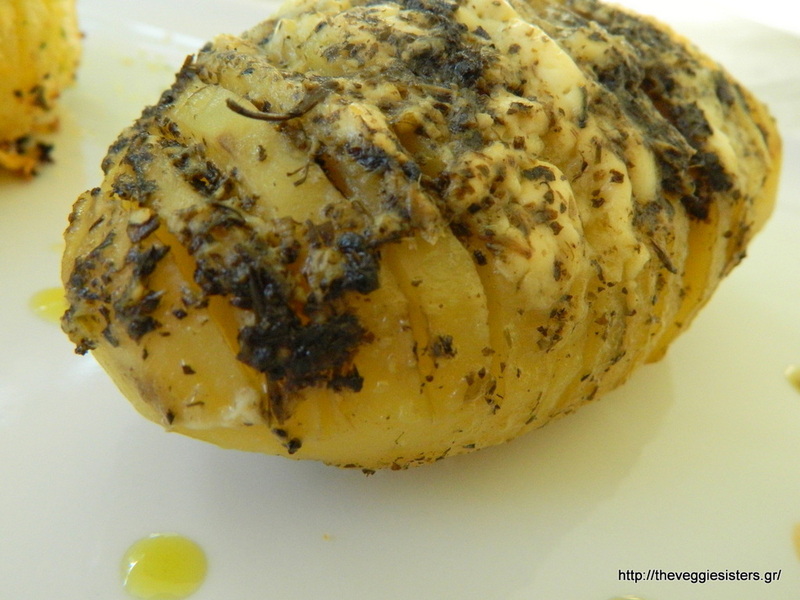 Share the post "Mediterranean Hasselback potatoes"